Lamar University - We Are Cardinals! Find Your Home At Lamar University! 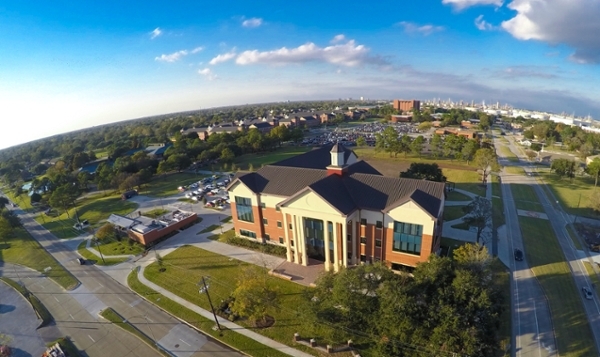 The university has been nationally recognized for the quality of its core curriculum and the diversity of its student body compared to other universities near Houston. Lamar's small class sizes and low student-to-faculty ratio allow students to build meaningful relationships with expert faculty who truly care about their success. LU stresses academic achievement by emphasizing hands-on learning at all levels, providing ample opportunities for undergraduate research and supporting an excellent Honors Program. The university is accredited by the Commission on Colleges of the Southern Association of Colleges and Schools. Several LU colleges and programs hold additional specialized certifications recognizing their quality and expertise. Explore Lamar University's academic programs. LU’s campus provides student life amenities for schooling and for leisure. More than 2,500 students live on campus, just an hour and a half from Houston, in modern, apartment-style residence halls known as Cardinal Village, which feature private bedrooms and nicely furnished living areas. All Lamar University students have access to the gourmet dining hall and the spacious Sheila Umphrey Recreational Sports Center, a showpiece facility with a 43-foot climbing wall, all the latest workout equipment and a range of intramural sports. Lamar University students enjoy cheering on the Cardinals in more than a dozen NCAA Division I men’s and women’s sports. Competing in the Southland Conference, Cardinals teams have a history of winning championships in sports including men’s and women’s basketball, volleyball, golf and cross country. The baseball program, led by legendary Coach Jim Gilligan, has produced multiple major leaguers. LU’s new football program has heightened excitement on campus with sell-out crowds and students involved in marching band, cheerleading, the dance team and all the fun of game-day tailgating. Learn more about LU Cardinals Athletics.